Jack Silva didn't know anything about how children learn to read. What he did know is that a lot of students in his district were struggling. "It was really looking yourself in the mirror and saying, 'Which 4 in 10 students don't deserve to learn to read?' " he recalls. Bethlehem is not an outlier. Across the country, millions of kids are struggling. According to the National Assessment of Educational Progress, 32 percent of fourth-graders and 24 percent of eighth-graders aren't reading at a basic level. Fewer than 40 percent are proficient or advanced. 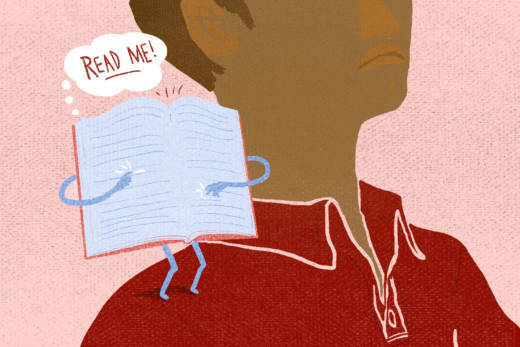 One excuse that educators have long offered to explain poor reading performance is poverty. In Bethlehem, a small city in Eastern Pennsylvania that was once a booming steel town, there are plenty of poor families. But there are fancy homes in Bethlehem, too, and when Silva examined the reading scores he saw that many students at the wealthier schools weren't reading very well either. Silva didn't know what to do. To begin with, he didn't know how students in his district were being taught to read. So, he assigned his new director of literacy, Kim Harper, to find out. Harper attended a professional-development day at one of the district's lowest-performing elementary schools. The teachers were talking about how students should attack words in a story. When a child came to a word she didn't know, the teacher would tell her to look at the picture and guess. The most important thing was for the child to understand the meaning of the story, not the exact words on the page. So, if a kid came to the word "horse" and said "house," the teacher would say, that's wrong. But, Harper recalls, "if the kid said 'pony,' it'd be right because pony and horse mean the same thing." Harper was shocked. First of all, pony and horse don't mean the same thing. And what does a kid do when there aren't any pictures? This advice to a beginning reader is based on an influential theory about reading that basically says people use things like context and visual clues to read words. The theory assumes learning to read is a natural process and that with enough exposure to text, kids will figure out how words work. Yet scientists from around the world have done thousands of studies on how people learn to read and have concluded that theory is wrong. One big takeaway from all that research is that reading is not natural; we are not wired to read from birth. People become skilled readers by learning that written text is a code for speech sounds. The primary task for a beginning reader is to crack the code. Even skilled readers rely on decoding. So when a child comes to a word she doesn't know, her teacher should tell her to look at all the letters in the word and decode it, based on what that child has been taught about how letters and combinations of letters represent speech sounds. There should be no guessing, no "getting the gist of it." And yet, "this ill-conceived contextual guessing approach to word recognition is enshrined in materials and handbooks used by teachers," wrote Louisa Moats, a prominent reading expert, in a 2017 article. The contextual guessing approach is what a lot of teachers in Bethlehem had learned in their teacher preparation programs. What they hadn't learned is the science that shows how kids actually learn to read. "We never looked at brain research," said Jodi Frankelli, Bethlehem's supervisor of early learning. "We had never, ever looked at it. Never." "Tell me the first sound you hear in 'Eunice'?" "Youuu ... " the teachers responded. Nope. "/Y/, /y/, before you get to the /oo/," Donecker explained. "How about "Charlotte?" This was a class on the science of reading. 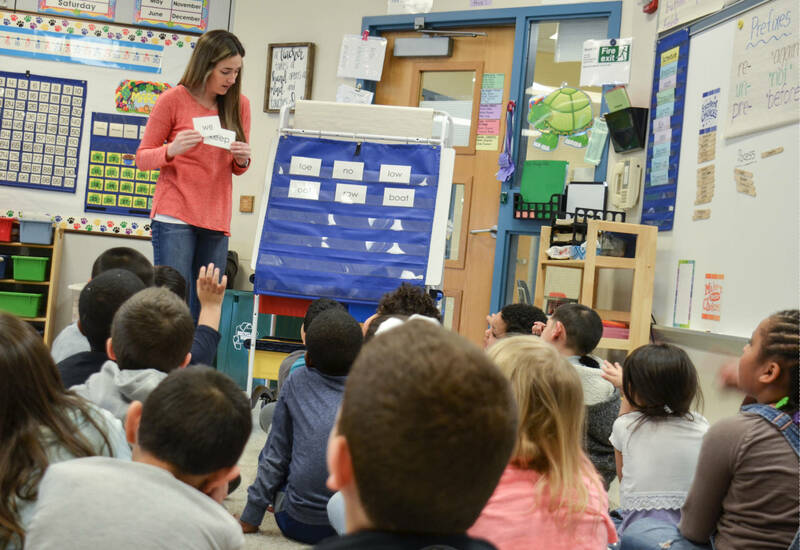 The Bethlehem district has invested approximately $3 million since 2015 on training, materials and support to help its early elementary teachers and principals learn the science of how reading works and how children should be taught. In the class, teachers spent a lot of time going over the sound structure of the English language. Since the starting point for reading is sound, it's critical for teachers to have a deep understanding of this. But research shows they don't. 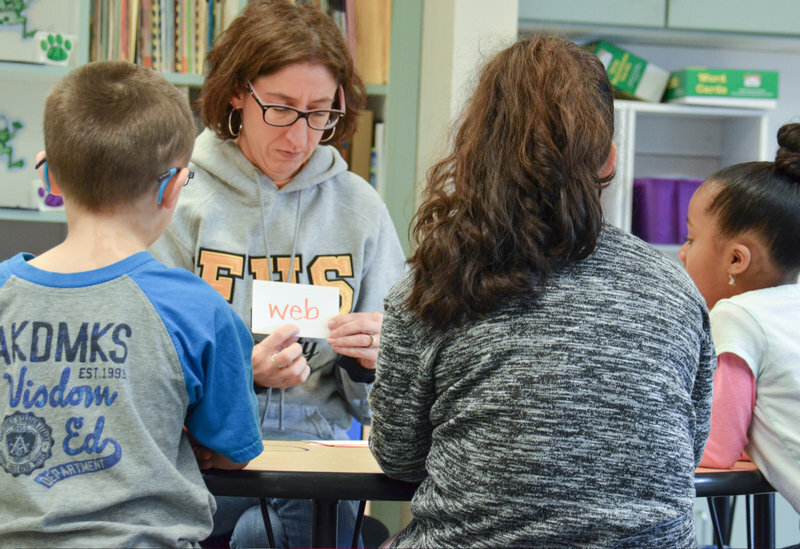 Michelle Bosak, who teaches English as a second language in Bethlehem, said that when she was in college learning to be a teacher, she was taught almost nothing about how kids learn to read. "It was very broad classes, vague classes and like a children's literature class," she said. "I did not feel prepared to teach children how to read." Bosak was among the first group of teachers in Bethlehem to attend the new, science-based classes, which were presented as a series over the course of a year. For many teachers, the classes were as much about unlearning old ideas about reading — like that contextual-guessing idea — as they were about learning new things. First-grade teacher Candy Maldonado thought she was teaching her students what they needed to know about letters and sounds. "We did a letter a week," she remembers. "So, if the letter was 'A,' we read books about 'A,' we ate things with 'A,' we found things with 'A.' "
But that was pretty much it. She didn't think getting into the details of how words are made up of sounds, and how letters represent those sounds, mattered that much. The main goal was to expose kids to lots of text and get them excited about reading. She had no idea how kids learn to read. It was just that — somehow — they do: "Almost like it's automatic." Maldonado had been a teacher for more than a decade. Her first reaction after learning about the reading science was shock: Why wasn't I taught this? Then guilt: What about all the kids I've been teaching all these years? Bethlehem school leaders adopted a motto to help with those feelings: "When we know better, we do better." "My kids are successful, and happy, and believe in themselves"
In a kindergarten class at Bethlehem's Calypso Elementary School in March 2018, veteran teacher Lyn Venable gathered a group of six students at a small, U-shaped table. "We're going to start doing something today that we have not done before," she told the children. "This is brand spanking new." The children were writing a report about a pet they wanted. They had to write down three things that pet could do. A little boy named Quinn spelled the word "bark" incorrectly. He wrote "boc." Spelling errors are like a window into what's going on in a child's brain when he is learning to read. Venable prompted him to sound out the entire word. "What's the first sound?" Venable asked him. "We got that one. That's 'b.' Now what's the next sound?" Quinn knew the meaning of "bark." What he needed to figure out was how each sound in the word is represented by letters. Venable, who has been teaching elementary school for more than two decades, says she used to think reading would just kind of "fall together" for kids if they were exposed to enough print. Now, because of the science of reading training, she knows better. "My kids are successful, and happy, and believe in themselves," she said. "I don't have a single child in my room that has that look on their face like, 'I can't do this.' "
At the end of each school year, the Bethlehem school district gives kindergartners a test to assess early reading skills. In 2015, before the new training began, more than half of the kindergartners in the district tested below the benchmark score, meaning most of them were heading into first grade at risk of reading failure. At the end of the 2018 school year, after the science-based training, 84 percent of kindergartners met or exceeded the benchmark score. At three schools, it was 100 percent. Silva says he is thrilled with the results, but cautious. He is eager to see how the kindergartners do when they get to the state reading test in third grade. "We may have hit a home run in the first inning. But there's a lot of game left here," he says. Emily Hanford is a senior correspondent for APM Reports, the documentary and investigative reporting group at American Public Media. She is the producer of the audio documentary Hard Words, from which this story is adapted. Copyright 2019 American Public Media. To see more, visit American Public Media.